BAHAMAS – Fluence Corporation has revealed that it has secured a deal to operate the company’s first desalination plant in the Bahamas on a build, own, operate and transfer (BOOT) basis. The deal is for the supply and installation of three Fluence NIROBOX units at Rav Bahamas’ Resorts World Property. The NIROBOX desalination units are already built and have a capacity of 3,000 m3/d. 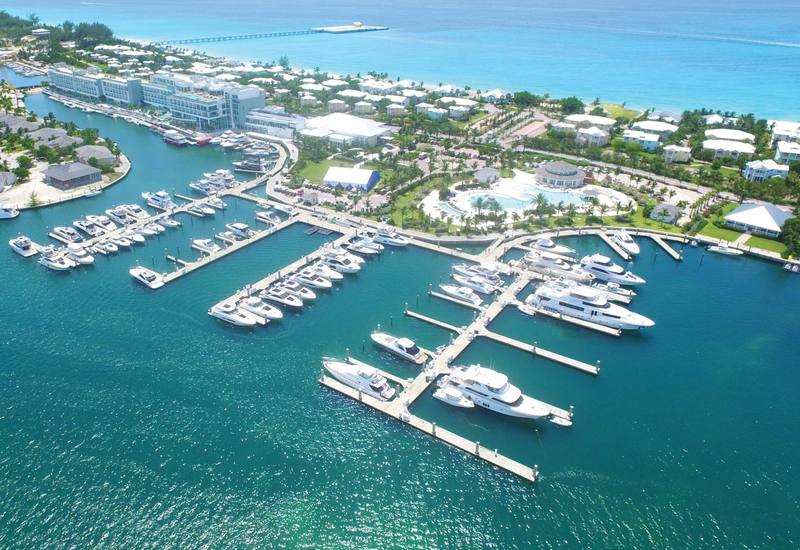 Fluence will supply water to the resort and the surrounding community of North Bimini. OMAN – The Barka Desalination Company has announced the opening of the Barka Independent Water Project (IWP) plant. The project was completed in less than 30 months by a consortium consisting of Itochu Corporation, ENGIE, SUEZ and Towell Engineering under a 20-year Water Purchase Agreement (WPA). The plant has a capacity of 281,000 m3/d, making it the largest desalination plant in the country. Suez will operate and maintain the plant for twenty years. INDIA – The Madras High Court has dismissed a petition filed against Chennai Metropolitan Water Supply Sewerage Board’s tender notification calling for proposals from five shortlisted companies on the planned 150,000 m3/d desalination plant at Nemmeli. The High Court rejected the petition on the grounds that the petitioner company—which did not submit a bid for the project—had no legal standing to question the tender process. IRAN – Hyflux has reported that it has received a letter of intent from the Asia Water Development Engineering Company (AWDEC) for the award of a second contract for a seawater desalination project. The contract is for the design, manufacturing, and supply of a desalination unit on the same site in Bandar Abbas as Hyflux’s first project for AWDEC. The new desalination unit will have a capacity of 200,000 m3/d and will have specifications similar to that of the first plant. The two desalination plants that Hyflux has been contracted to deliver for AWDEC have a combined capacity of 400,000 m3/d and are part of a larger project to build five plants for the proposed Saghi Kosar (SAKO) Desalination and Power Plant. PAKISTAN – The Karachi Port Trust (KPT) has announced plans to build a 681,913 m3/day desalination plant and 3,000 MW power plant to supply the city of Karachi and the South District. No details on the timing of the potential project were given. 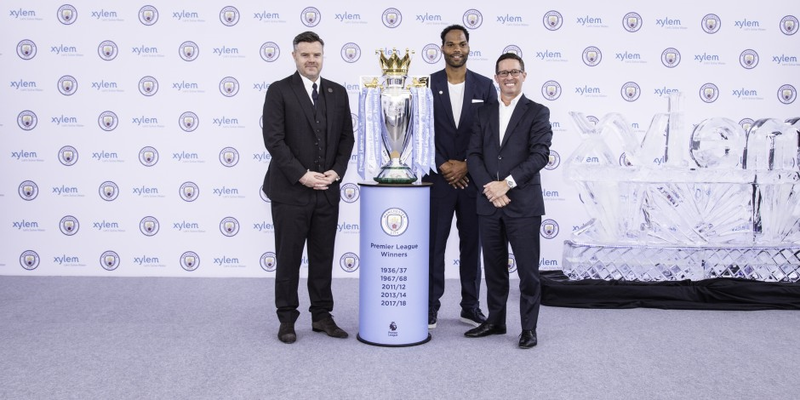 U.K. – The Premier League football club Manchester City signed a four-year sponsorship deal with Xylem to become the club’s official water technology partner. With the partnership Xylem aims to promote the Xylem brand and increase awareness about global water challenges and solutions. Xylem will also work with Manchester City on Xylem Watermark projects, which include the construction of water towers in water-deprived communities around the world. The partnership between the football club and the water technology company also includes partnering with City’s sister club New York City FC and Manchester City women’s team. Anna Napoli “Fluence announces contract for seawater desalination plant in the Bahamas”, finnewsnetwork.com.au, July 16, 2018. <https://www.finnewsnetwork.com.au/archives/finance_news_network170078.html> accessed July 16, 2018. “Largest water desalination plant opens in Oman”, gdnonline.com, July 16, 2018. <http://www.gdnonline.com/Details/381755/Largest-water-desalination-plant-opens-in-Oman> accessed July 16, 2018. “Case against desalination plant dismissed”, thehindu.com, July 17, 2018. <https://www.thehindu.com/news/cities/chennai/case-against-desalination-plant-dismissed/article24437637.ece> accessed July 17, 2018. Tan Hwee Hwee “Hyflux wins contract from repeat customer”, businesstimes.com.sg, July 10, 2018. <https://www.businesstimes.com.sg/companies-markets/hyflux-wins-contract-from-repeat-customer> accessed July 16, 2018. Mohammed Ali “KPT plans to set a big desalination plant: Hussain Haroon”, urdupoint.com, July 14, 2018. <https://www.urdupoint.com/en/pakistan/kpt-plans-to-set-a-big-desalination-plant-hu-392568.html> accessed July 16, 2018. “Manchester City announces new global partnership with Xylem”, xylem.com, July 10, 2018. <https://www.xylem.com/en-us/about-xylem/newsroom/press-releases/manchester-city-announces-new-global-partnership-with-xylem/> accessed July 16, 2018.